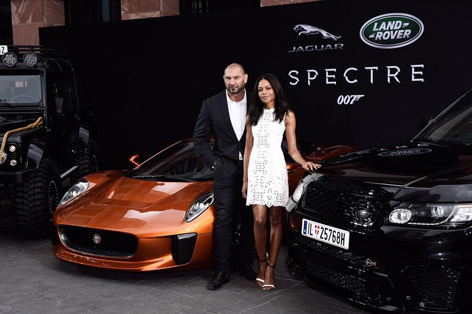 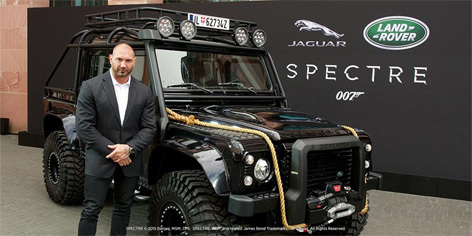 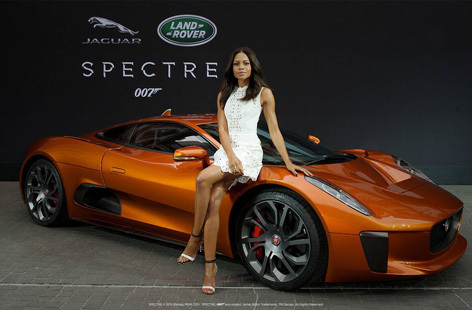 David Bautista who plays the villain Hinx and Naomie Harris who plays Moneypenny posed with the highly modified Land Rover Defender 'Big Foot', the Jaguar C-X75 sportscar and a very special Range Rover Sport SVR. 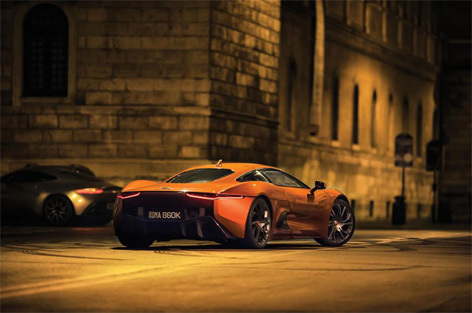 This is the first time these cars are shown to the public. 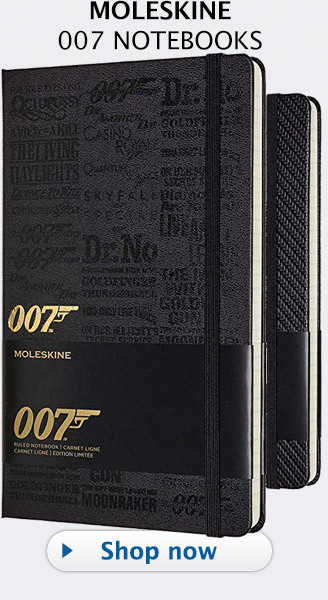 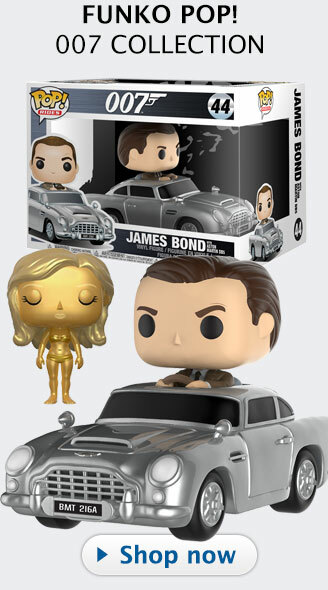 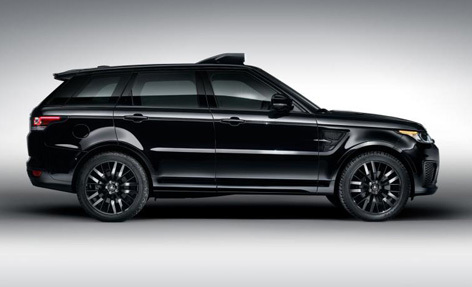 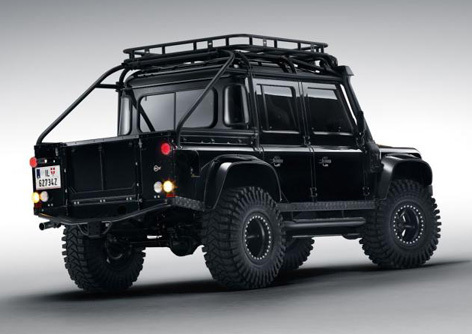 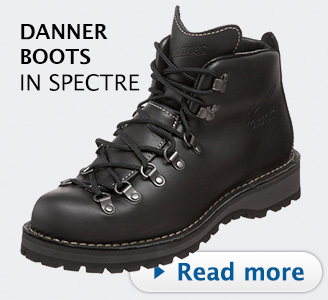 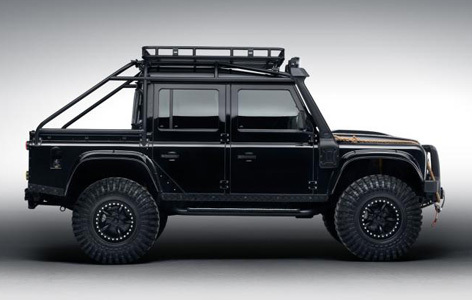 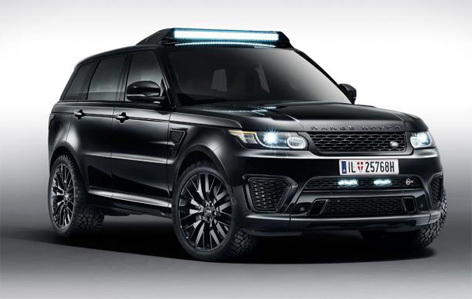 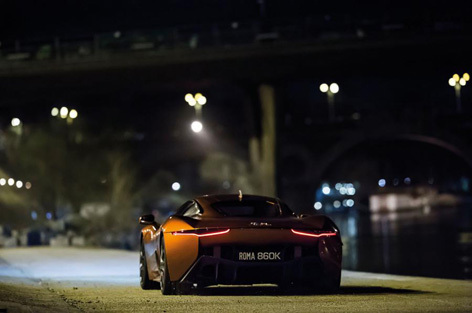 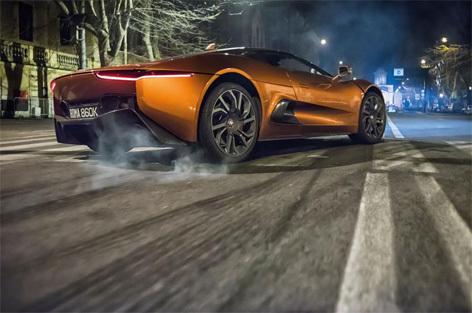 Jaguar and Land Rover released several beuatiful product images of their vehicles in action in the movie SPECTRE. 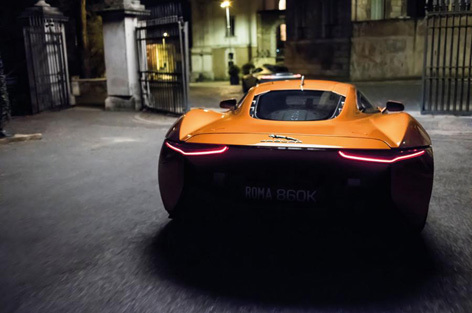 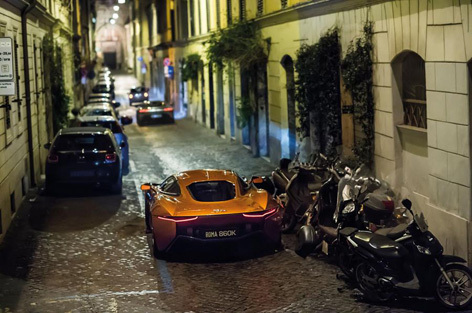 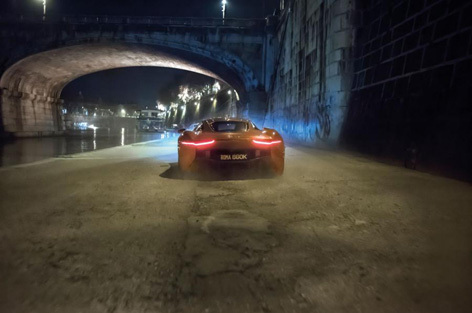 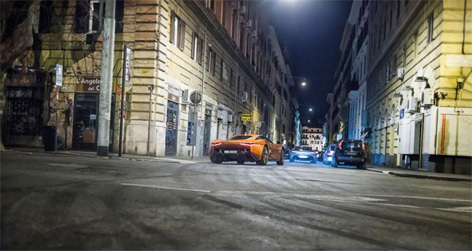 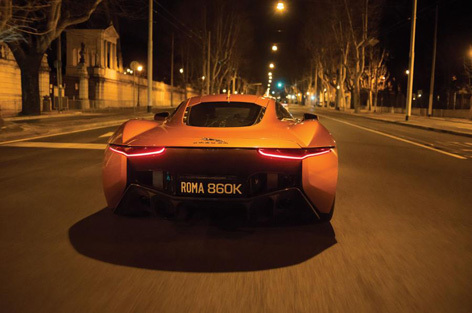 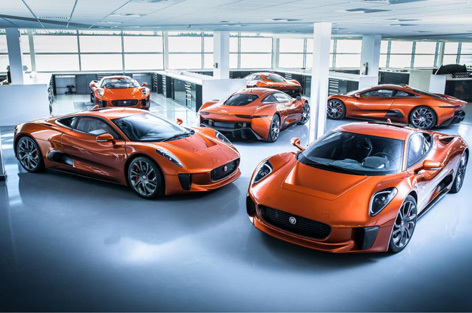 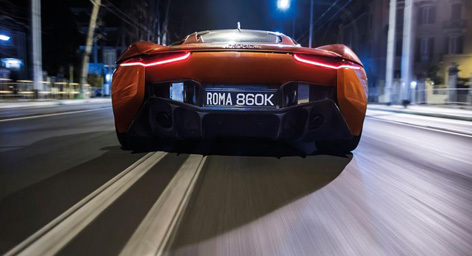 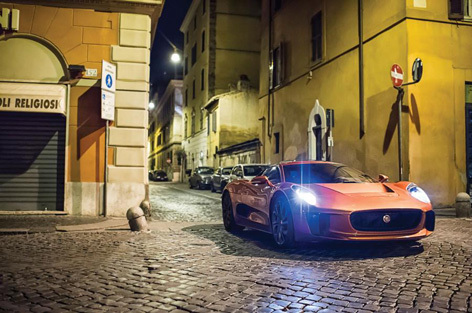 The Jaguar C-X75 will be driven by the character Mr. Hinx, played by Dave Bautista, in a thrilling chase with Bond's Aston Martin DB10 through the narrow streets of Rome. 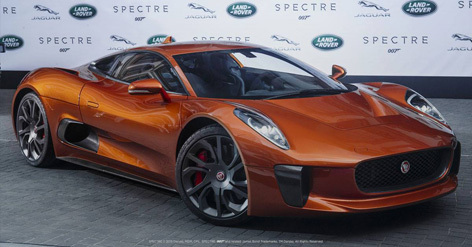 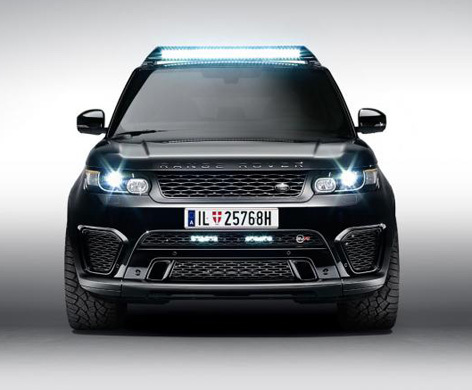 The SPECTRE C-X75 was developed by JLR’s Special Vehicle Operations division, together with Williams Advanced Engineering. 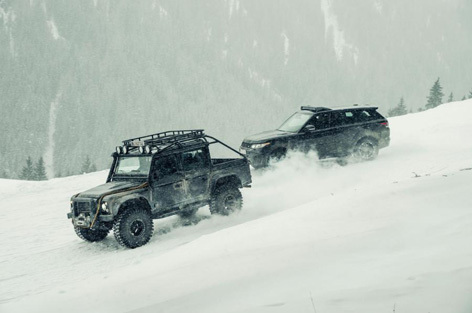 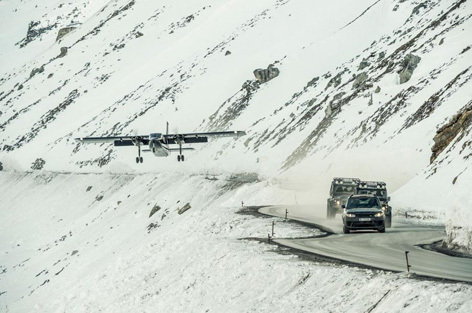 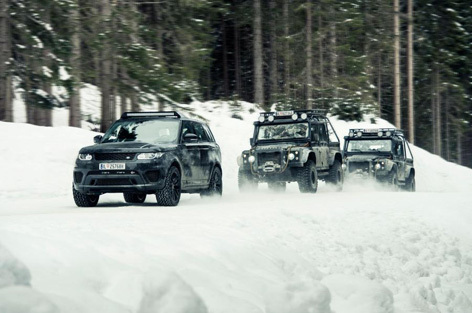 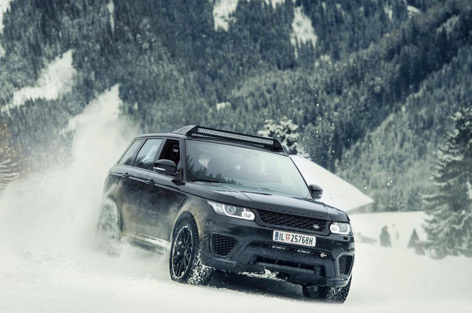 Specially modified Land Rover Defenders and Range Rover Sport SVR will be used in a action scenes shot in the Austrian mountains. 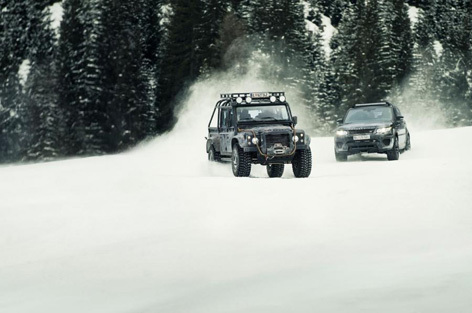 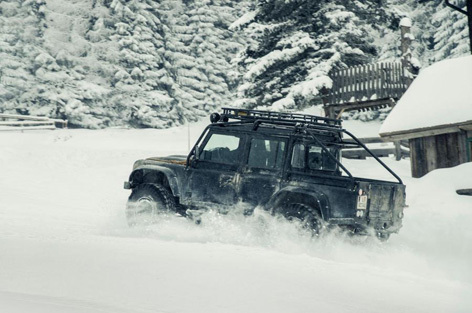 The Big Foot Defenders were also constructed by the JLR Special Vehicle Operations division and fitted with huge 37-inch diameter off-road tyres and enhanced body protection to tackle the challenging terrain of the snow-covered mountain roads used as filming locations. 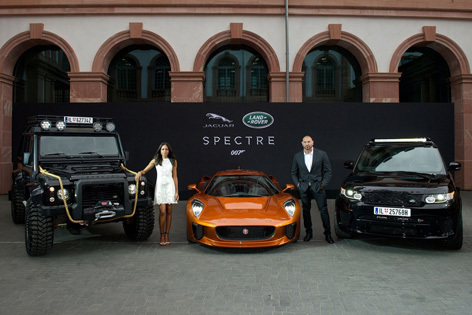 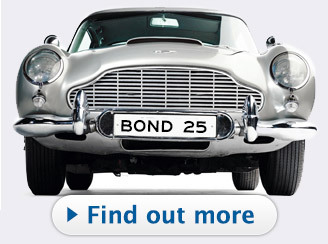 In SPECTRE James Bond himself will drive an Aston Martin DB10, a model created specifically for the movie. 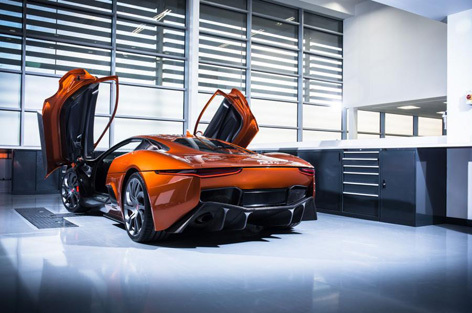 Like its Jaguar C-X75 rival, the DB10 will never be made available to customers, although its styling may influence future Aston production models.